Cut cauliflower florets into bite-sized pieces (there should be about 4 cups). 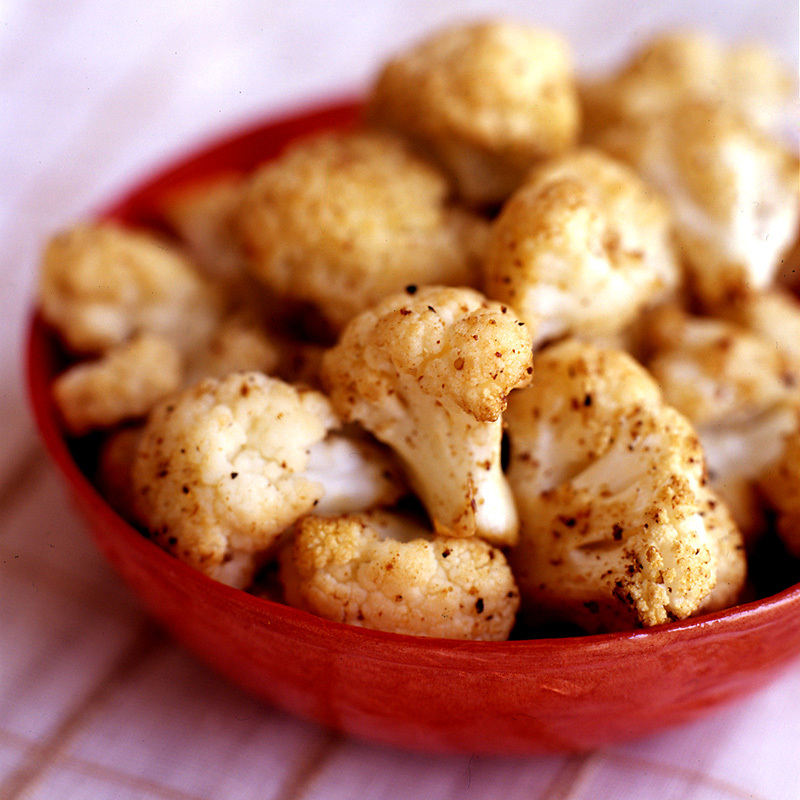 Place cauliflower in a medium bowl and add cumin, chili powder, salt and pepper; toss well to coat. Spread cauliflower on prepared baking sheet and bake until cauliflower is tender, but not mushy, stirring halfway through, about 10 minutes. Yields about 1/2 cup per serving.